Membership is open to craftspeople living in Cornwall. 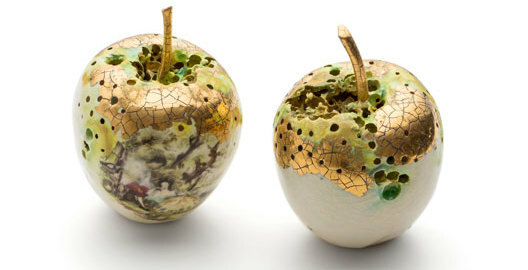 CCA is committed to the promotion of excellence in contemporary craft and is keen to attract makers who set the highest standards for themselves and have achieved a high degree of skill with an imaginative and sympathetic approach to materials. Full Membership is open to makers who have achieved the high standards set by the CCA and who meet all the criteria. Membership is open to makers working in any craft. As a general rule, fine art paintings, reproduction work and scale models, and photography, however well crafted, are not accepted. CCA is committed to encourage and promote craft of the highest quality through its membership, exhibitions and education programme. Technical skill and understanding is a basic requirement for selection but applicants must also demonstrate a willingness to challenge themselves in the use of materials and techniques. CCA is keen to attract members whose work shows imaginative spark and that engages with contemporary practice and aesthetics. Members are selected by a committee of elected CCA practitioners against the criteria and standards set by the CCA. The selection process takes place three times a year and is a two-stage process. Stage One applications should be submitted on the forms provided and include a C.V. (no longer than two sides of A4) and up to 8 images of their work, these can be on disc, prints or slides. It would be helpful if these showed both details and full pieces. Images must be clearly labeled with the maker’s name and title of work. Slides must be clearly marked with Top and Right Side. Applications must be received by the date specified and will be returned by post with the committee’s decision. Those selected will be invited to submit work for Stage two. Stage Two applicants are invited to submit 3 to 8 pieces of work. These should be representative of their current work and if appropriate include at least one major piece. Information about the work and about the applicant can be submitted but may not be required as the decision will be based on the merits of the work submitted. All reasonable precautions are taken by CCA to ensure work is protected from loss or damage during the selection process, but work is NOT insured by the CCA and makers are advised to organise appropriate insurance for their work during the selection process. Stage two applicants will be advised of the date for selection of work. Applicants who are selected for full membership will be asked to pay the above subscription before their membership begins. Failure to do so within 3 months of selection will invalidate the selection but will not preclude a future application. Subscriptions are for a year’s membership renewable in the first month of every year except for those paid by any member accepted after September; the subscription will then also cover the following year’s subscription. CCA charge 40% commission plus vat on sales from its exhibitions and retail outlets. An opportunity for students of applied arts to participate in educational activities and networking, but not entitled to exhibit. This is open to all undergraduate and postgraduate students of applied arts in Cornwall. The selection process does not apply to this category and no application fee will be charged but applicants will be asked for details of their course. Please email Elinor Lamond elinor@cornwallcrafts.co.uk to receive your Application Pack.